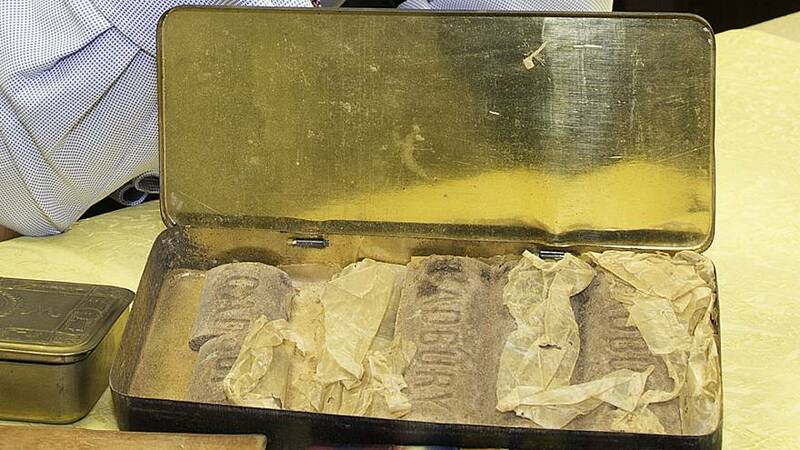 Nine 103-year-old chocolate bars were discovered in a tin box that belonged to a World War I soldier. The tin, containing almost all of the original chocolate, was amongst a collection of items belonging to a Leicestershire Regiment soldier called Richard Bullimore. Troops serving in France were sent chocolate for Christmas. “The colonies chocolate was sent to troops in that first winter of the war,” said Paul Cooper of Scunthorpe-based auctioneers Eddisons CJM, adding that the cocoa was sent over from the Caribbean and that Cadbury made the bars. Among other presents that Bullimore received are a Princess Mary tobacco gift box, containing cigarettes, tobacco, and matches — only three cigarettes are missing. 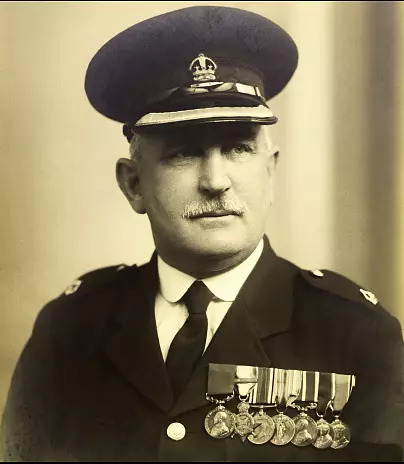 The Corporal earned a Distinguished Conduct Medal for conspicuous gallantry during a clash in a no man’s land between the trenches in the Ypres salient in July 1915. All of the corporal's artifacts are scheduled to be auctioned next Tuesday.